The classic African safari is based around the game drive – venturing out into the bush in your trusty 4x4 to find the best spot for wildlife viewing or photography. Game drives are without doubt the highlight of any safari. They can last anywhere from a couple of hours to a full day's excursion with a picnic lunch in the bush, and many reserves offer drives after sunset. Game drives usually take place in the early morning and late afternoon, during the coolest times of the day when animals are more active. After an early morning wake-up call and a quick bite to eat, you and your guide will set off in search of wildlife – elephants, giraffe, zebra or other herbivores browsing on bushes or grazing on the plains, or predators still dining on last night's kill. The afternoon game drive follows afternoon tea and this will culminate with one of the most enjoyable of safari traditions – the sundowner. Night drives are possible in private wildlife reserves or concessions. 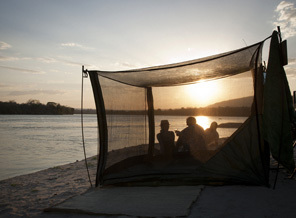 These drives offer a whole new dimension to a safari and allow guests to experience the mysteries of the bush after dark – the chance to see rare nocturnal creatures such as the porcupine and aardvark, or glimpse an elusive leopard or other predators that are on the prowl under cover of darkness. Will I See The 'Big Five'? The Big Five – elephant, buffalo, rhinoceros, lion and leopard – so named by the early big-game hunters because these were the most difficult and dangerous of the animals to hunt on foot. 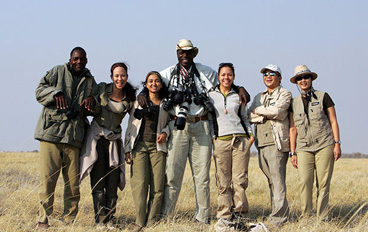 Most safaris that we arrange offer clients an excellent chance to see the Big Five, although nothing can be guaranteed when it comes to nature. 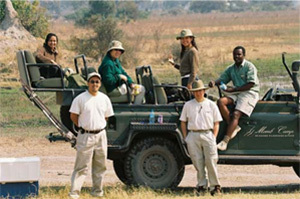 But remember, there is so much more to be seen and experienced on a safari than just the Big Five. Game drives will usually be conducted in custom-designed open-sided four-wheel-drive (4WD) vehicles – usually Land Cruisers or Land Rovers. In most cases they carry a maximum of six guests, meaning everyone gets a 'window seat'. The vehicle will be driven by the guide and in many reserves in South Africa there will also be a tracker, who is sat in a special seat perched on the front of the vehicle to give an extra pair of sharp eyes and where it is easier to spot animal tracks on the road ahead.